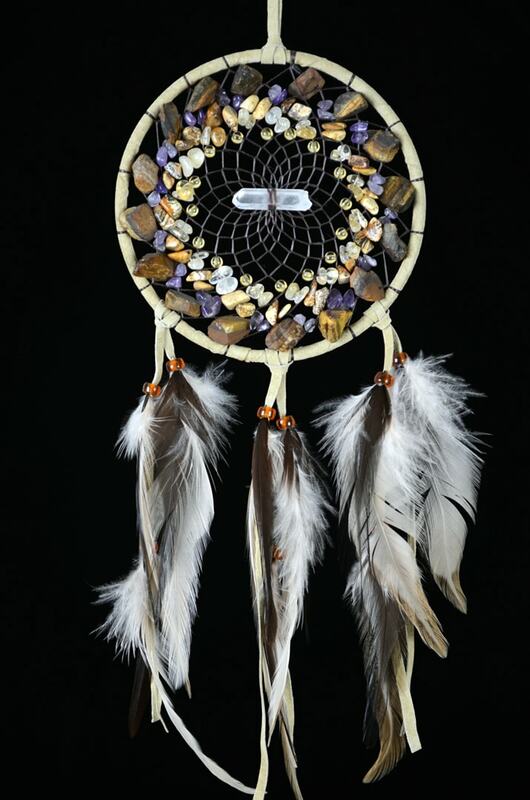 This beautiful Vision Seeker dream catcher features a 4 inch hoop and an amazing assortment of stones in the webbing. These Layered Semi-Precious Stones in the webbing include citrine, amethyst, tigers eye , picture jasper semi-precious stones. The center of the web features a stunning quartz crystal and the bottom of this piece is full with an amazing and diverse assortment of feathers.